This is Honda’s tenth generation of Civic. 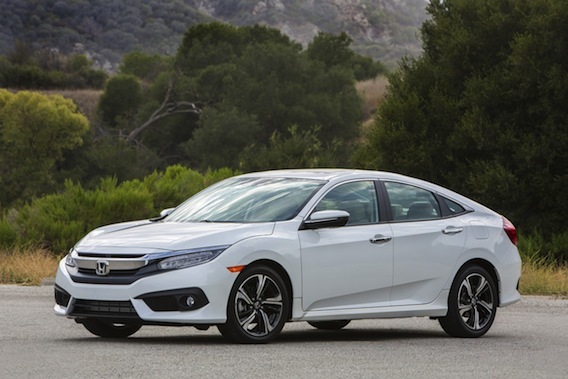 for the tenth generation, Honda has brought out a turbocharged engine that is on the luxury line Civics. Acura has had a turbocharged engine since 2007, but this is the first turbocharged engine Honda has brought to market. When Honda gives the numbers for miles per gallon (MPG) and horsepower do they use 87 octane gasoline for both tests? Honda Civic chief engineer, Yuji Matsumochi, talked to Lou Ann Hammond, CEO, Driving the Nation, about the 2016 Honda Civic.